Elise Rosenhaupt has wide-ranging experience with injuries and other insults to the brain. Her father died nine years after falling off his bicycle onto his head; she spent weeks with him immediately after his 1976 accident. She was beside her husband during his 1995 episode of transient global amnesia. Her son was the medic who took charge when, in 1998, she fractured her skull. Two months later, that son, a Harvard student, was hit by a car and suffered traumatic brain injury. She was with him throughout his weeks at the acute care hospital and the rehabilitation facility, and during his months of recovery and rehabilitation at home in New Mexico. She cared for her mother, who suffered from Parkinsonism, a neurological syndrome. Rosenhaupt has lived in New Mexico since 1969. She edits and writes on behalf of environmental groups and progressive initiatives and candidates. She has taught American and English literature and creative writing, and edited poetry, fiction, and non-fiction on a freelance basis. She edited photographer Eliot Porter's essays and his book, Antarctica (E.P. Dutton, 1978). A graduate of Radcliffe College, she was poetry editor of Harvard's oldest literary magazine, The Harvard Advocate. She studied at Harvard with poets Robert Fitzgerald and Theodore Morrison and writers Roger Rosenblatt and Carter Wilson. 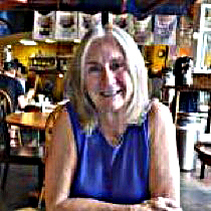 ​ Elise Rosenhaupt lives in Santa Fe with her husband. Their son, daughter, son-in-law, and grandson all live nearby. She recently recorded the audio book of Climbing Back.